The Doctoral C ollege would like to present the September monthly update. 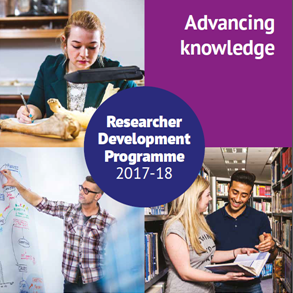 This September update brings the launch of the Researcher Development Programme for 2018-19. We would also like to highlight some Brightspace Researcher Development Programme training coming up for PGRs and Supervisors and we would like to open bookings for the highly successful pre-transfer/major review and post-transfer/major review inductions. Also note that the brand new Doctoral College: Researcher Development Programme on Brightspace is now live. Workshop bookings, online resources and modules, plus much more are now accessible on this new platform. If you cannot access the platform, please get in touch. The Doctoral C ollege would like to present the July monthly update. In this July update we would like you to be reminded that the Doctoral College is open all summer, we are still holding one-to-one support sessions so if you are not sure where to begin with your researcher development or where to go next book in to speak to one of us. Also, remember that the August Summer School Masterclass is now bookable click here. 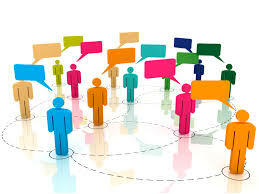 Thank you to all who completed our PGR Communities Questionnaire. We presented initial findings at the UK Council for Graduate Education Annual Conference this week which you can read about in our blog piece and will be disseminating findings wider in the coming months. 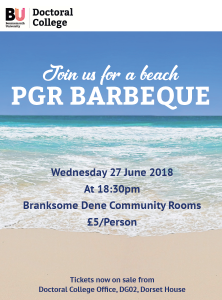 The Doctoral College hosted it’s first ever PGR and Supervisors BBQ at Branksome Dene Room on Wednesday 27 June. It was an enjoyable event with good weather, great food, and the timeless classic Giant Jenga was a huge hit. The evening culminated with a beautiful sunset over the sea. If you couldn’t attend on this occasion we hope to see you at a future Doctoral College event. The Doctoral College is hosting two NVivo workshops. If you would like to attend either of these workshops please follow the instructions below. Please note that to book onto the Advanced NVivo workshop you need to attend the Introduction to NVivo first. The questionnaire is open for just one more week and should only take 10-15 minutes to complete (no log-in required). The Doctoral C ollege would like to present the June monthly update. 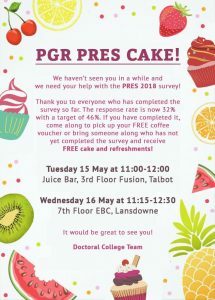 This monthly update is for PGRs and their supervisors to outline upcoming research skills and development opportunities including events, workshops and networking opportunities supported by the Doctoral College. 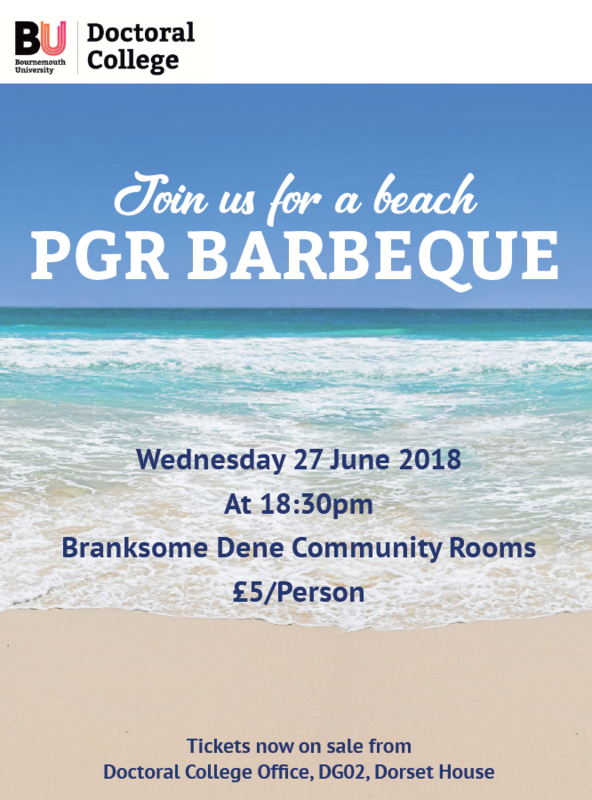 In this update we would like to promote the Researcher Development Programme for June (which includes expert sessions), the PGR and Supervisor BBQ and the PGR Communities Questionnaire. 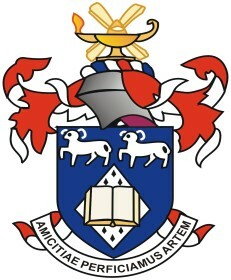 The Doctoral College is conducting research into PGR communities at BU and we would like to hear your views. The questionnaire is open to current PGRs and closes at 08:00 on Monday 18 June (no log-in required). Drinks vouchers are available for those who complete the questionnaire. Click here to complete the questionnaire. The Doctoral C ollege would like to present the March monthly update. 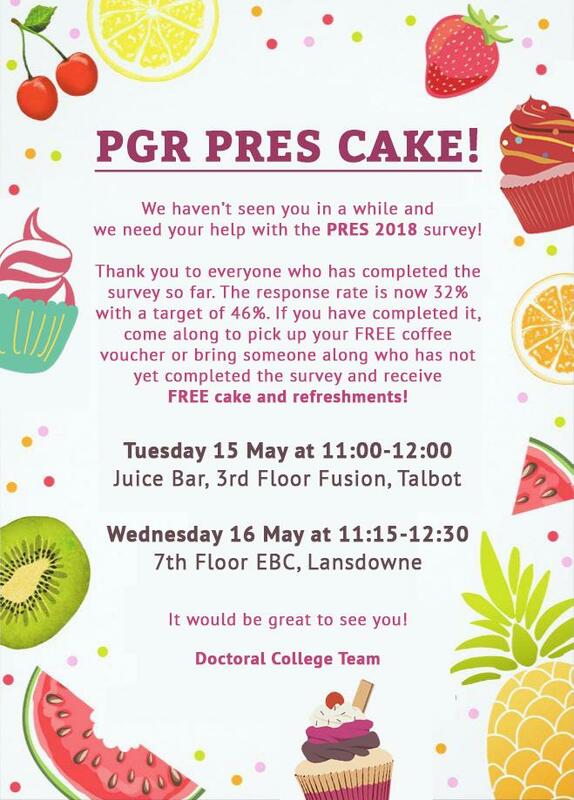 This monthly update is for PGRs and their supervisors to outline upcoming research skills and development opportunities including events, workshops and networking opportunities supported by the Doctoral College. 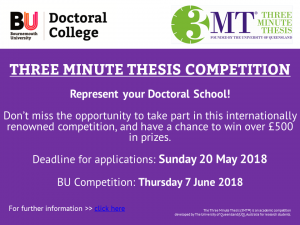 In this update we would like to promote the 3 Minute Thesis (3MT®) event, R.E.D talks, the Researcher Development Programme for 2017-18, and the 10th Annual Postgraduate Conference. We are very happy to announce that 10th Annual Postgraduate Research Conference is taking place today. The conference will see PGR students, academics and other colleges from across BU come together to celebrate the diverse and exciting research being undertaken. More information about the day will be sent over the next week. The Doctoral C ollege would like to present the Febraury monthly update. We are very happy to announce that registration for the 10th Annual Postgraduate Conference is still open. To book onto the conference please go to the Researcher Development Hub on the website. These exciting development opportunities are taking place now so check out our application processes and booking information to advance your current skills, knowledge and networks.